40% towards inventory, 26% towards marketing, 22 % towards operational expenses, 5% Wefunder Intermediary fee, 7% towards accounting and legal fees. 62% towards inventory, 24% towards marketing, 6 % towards operational expenses, 5% Wefunder Intermediary fee, 2% towards new app development, 1% towards accounting and legal fees. Master implementing strategies to maximize profitability for multi-million dollar companies. Investors who fund the first $300,000 of this fundraise will receive 100% of their principal and an additional 125% on top. The company will pay investors 10% of revenues each year until 100% of your principal is returned plus 100% on top. 10% personal discount for 3 months after closing + Your name under the "Pearl Investor" section of our website. 10% personal discount for 6 months + 1 DNA Pro-Fit extra small gift (1 item) + Your name under the "Emerald Investor" section of our website. 10% personal discount for 12 months + 1 DNA Pro-Fit small gift (Shirt, Pill Box, Tape/Caliper Kit) + Your name under the "Sapphire Investor" section of our website. 15% personal discount for 15 months + 1 DNA Pro-Fit medium gift (Shirt, Pill Box, Tape/Caliper Kit, and water bottle) + Your name under the "Bronze Investor" section of our website. 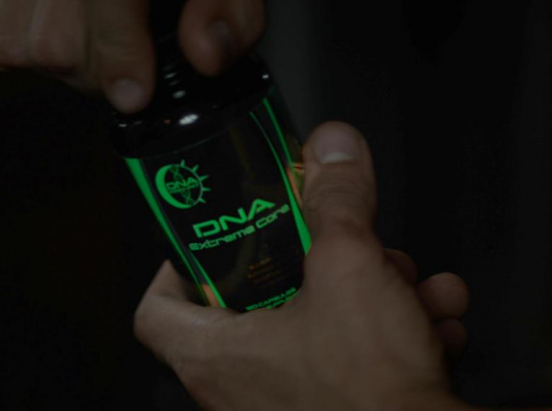 15% personal discount for 18 months + 1 DNA Pro-Fit medium gift + 1 DNA Extreme Core bottle with your name on it + Your name under the "Silver Investor" section of our website. 15% personal discount for 21 months + 1 DNA Pro-Fit large gift (Shirt, hat, gym gloves, Pill Box, Tape/Caliper Kit, and water bottle) + 1 DNA Extreme Core bottle with your name on it (from the first batch ever made) + Your name under the "Gold Investor" section of our website. 20% personal discount code valid for 24 months after closing + 1 DNA Pro-Fit Owner gift (Shirt, hat, gym gloves, Pill Box, Tape/Caliper Kit, and water bottle) + 1 DNA Extreme Core bottle with your name on it (from the first batch ever made) + Your name under the "Platinum Investor" section of our website. Our website has seen 138K visitors. The global fitness supplement market is estimated at $133B. Our social channels have more than 40k followers. 190M U.S. adults use dietary supplements.